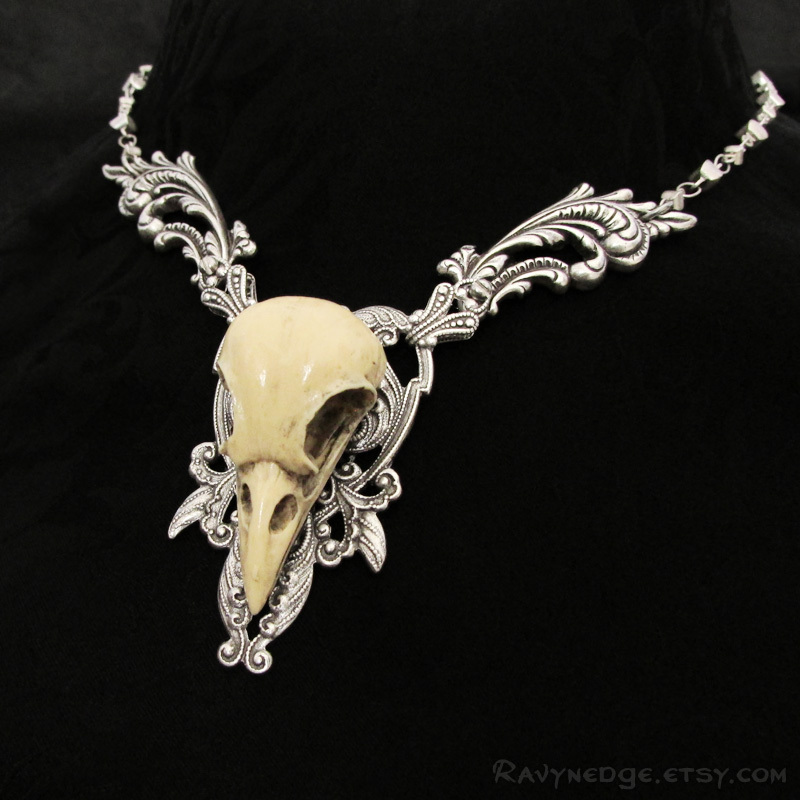 Moriendo Renascor Necklace - Bird Skull Choker by RavynEdge. 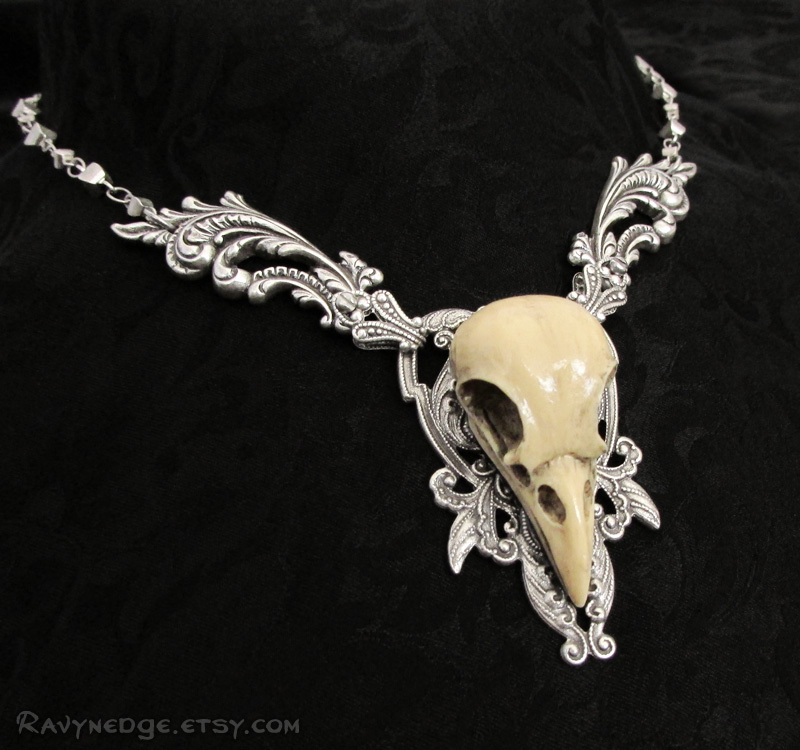 This statement necklace features an eye catching resin bird skull which I hand painted to give the appearance of aged bone and bring out the amazing details. 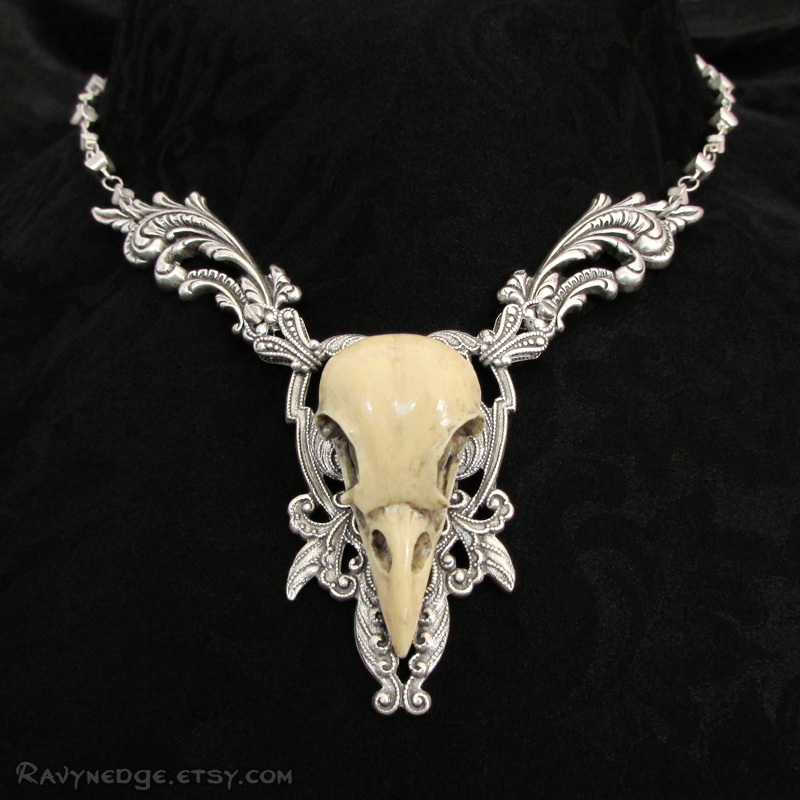 Surrounding the skull replica are decorative flourishes of sterling silver plated brass. The necklace adjusts from 16 to 18 inches (40.6 to 45.7cm) and closes with a lobster swivel clasp. 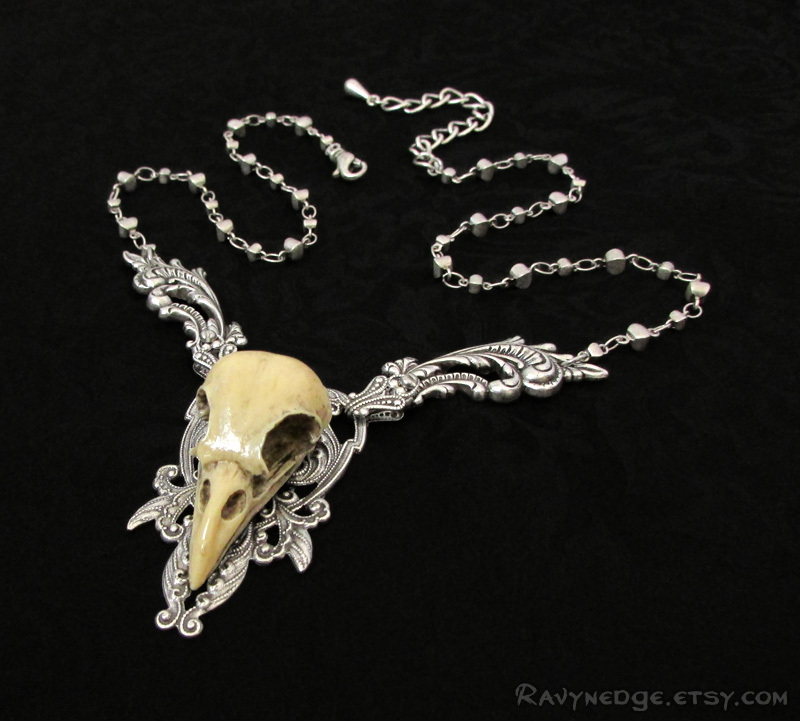 The pendant and chain are silver plated brass with an oxidized finish to give that wonderfully romantic and gothic look with a vintage appeal.